Salem State students have been working alongside community outreach programs for years as part of their internship requirements to earn degrees. Sara Osborn is one of these students. Majoring in health care studies, and minoring in human biology, Sara is set to graduate in December of 2018. During the 2017 fall semester, Sara heard about a potential internship opportunity through Lisa Bibeau, the assistant dean of disability services on campus. 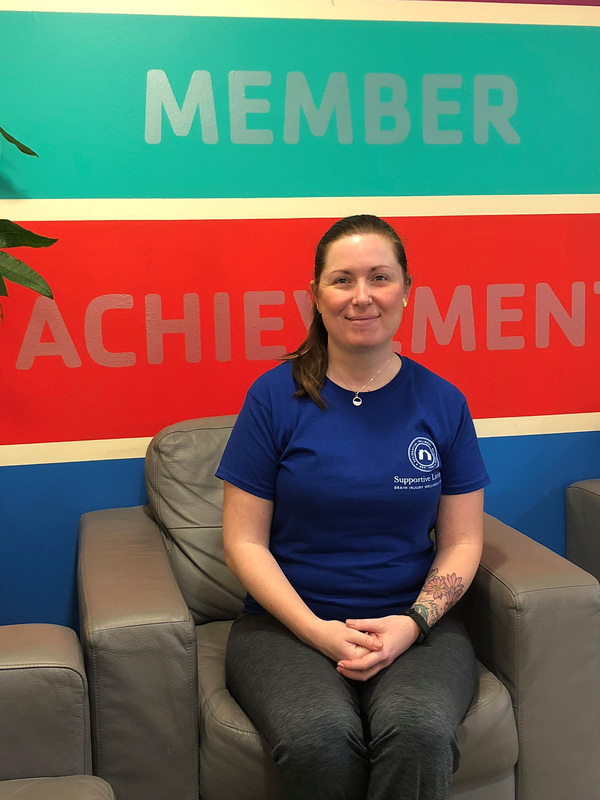 After reaching out to Supportive Living Inc., (SLI), Sara began interning with the company’s partnership with the Lynch Van Otterloo YMCA in Salem in February and hopes to continue working with the clients through the summer season. SLI is a nonprofit organization that has been dedicated to helping the survivors of brain injuries for 26 years. The nonprofit was founded in 1991 after Scott Stephens was left disabled from a car accident, and sustained a permanent brain injury. His parents, Carol and Doug Stephens realized that there were very few environments that would allow Scott’s quality of life to remain intact, and still have the appropriate support to live independently, so they created an environment that would be suitable for him, and others like him. SLI has four locations across Massachusetts, and offers affordable and appropriate housing for brain injury survivors. The organization is also involved in researching the long-term physical, social and cognitive needs of those affected by brain injury. The nonprofit’s partnership with Salem State University enables students to work one-on-one with SLI clients, and make a real difference in the lives of those who live with a brain injury. As an intern, Sara works as a personal trainer with clients. One of the benefits of this job’s requirements is that it gets the interns moving around, too. Sara says that the organization’s president, Peter Noonan, and the wellness program director, Harrison Carmichael, worked closely with the interns at the beginning of their journey, making sure the interns were comfortable and confident with their duties. “They’re fantastic people, and very approachable.” Recently though, the interns have been given more freedom to work with the clients on their own, in the ways they deem most appropriate to the individual needs of each person. “I can see myself working at an organization like this, and definitely at a nonprofit,” Sara added. When she’s not in classes, or working with SLI, Sara is working with Northeast Arc, a nonprofit with a similar goal. She is also taking part in research studies through Harvard University associated with clinical trials to treat Multiple Sclerosis with chemotherapy and stem cells which will attempt to alter the sequencing of the degenerative disorder’s genetic coding. Leading the way with compassion and vigor, Sara is making many positive contributions to our community, and ensuring the future is in capable hands.